The Ram Classic 1500 Warlock is proof positive that value never goes out of style," said Reid Bigland, President and CEO, FCA Canada​. "With its sinister monochromatic exterior, award winning interior and great price, this mean machine is certain to resonate." "The Ram Classic 1500 Warlock is proof positive that value never goes out of style," said Reid Bigland, President and CEO, FCA Canada. "With its sinister monochromatic exterior, award winning interior and great price, this mean machine is certain to resonate." The 2019 Ram 1500 Classic Warlock features a black grille with bold R-A-M lettering, 20-inch semi-gloss black aluminum wheels, front and rear powder coated bumpers, 2.5 cm (1-in.) factory lift, black wheel flares, LED fog lamps, projector headlamps with dark bezels, LED rear taillamps, black badging, tow hooks, unique hood decals, Warlock decals on the bedsides, heavy duty rear shocks and an available Sport hood. Also standard on the Warlock package is diesel grey cloth seating, ParkSense rear park assist and Ram 1500 Classic's Luxury Group, that includes a leather-wrapped steering wheel, auto-dimming rearview mirror, overhead console, 7-inch cluster display, LED bed lighting and power foldaway mirrors. Customers can also add heated bench or bucket seats, an 8.4-inch UConnect touchscreen with navigation, black side steps and a spray in bedliner. The Warlock is available as a 4x4 Quad Cab with the 6'4" cargo box or in a Crew Cab 4x4 with the 5'7" cargo box configuration. The 2019 Ram 1500 Classic Warlock starts at $51,715 with the award-winning Pentastar 3.6-litre V6 (305 horsepower /269 lb-ft torque) and $53,615 MSRP for the legendary HEMI 5.7-litre V8 engine (395 hp/410 lb-ft torque), both mated to an eight-speed automatic transmission. All production colours are available. The 2019 Ram 1500 Classic Warlock goes on sale at the end of the first quarter of 2019. As with all gasoline-powered Ram trucks, it come standard with a five-year, 100,000-kilometre powertrain warranty. Back in 1976, the first production Dodge Warlock was introduced following the public's positive response to a pickup designed as an auto show concept vehicle. The Warlock was a factory-personalized pickup that could "play as hard as it works," according to the period literature, complete with bucket seats, "fancy wheels, fat tires," chrome-plated running boards, real oak sideboards and special gold accent stripes inside and out. Production ran until 1979. 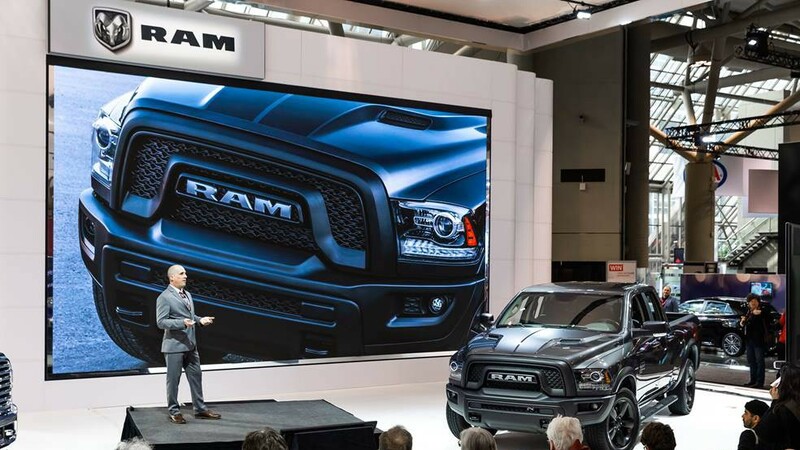 The 2019 Ram 1500 Classic boasts numerous segment-exclusive features in areas most important to truck buyers. Class-leading ride and handling is accomplished via a unique link-coil rear suspension system. Other features, such as RamBox bedside storage, hidden bins and a flat-load floor, offer unique solutions for cargo. New "Classic" badging is located on the front fenders.